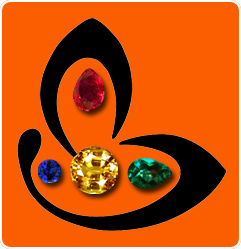 Healing with Astrological Gemstones Yellow Sapphire, The Yellow Sapphire is the Gemstone of Jupiter also called as Guru and Brihaspati in Vedic Astrology. Jupiter is the planet of good luck, fortune, education and wealth. People who are fortunate have a strong Jupiter in their charts indicating good karma in the previous births. Yellow Sapphire Gemstone is a very powerful healing Gemstone. The cosmic colour transmitted by a Yellow Sapphire in the body is Light Blue. These light blue colour waves are cold in nature and have a healing and soothing effect on the glandular system, the amount of body fat, the hormones controlled by the endocrine system and the liver. Besides the healing effects above, Yellow Sapphires blesses the individual with good luck, fortune, wealth, good education, grace of Gold, refined spirituality and a better quality of meditation. For those who are inclined, it gives understanding and comprehension of hidden knowledge. To Buy Yellow sapphire online, know the benefits of gemstones. Comments Featured today is a stunningly clear Yellow Sapphire wherein you can see movement of light through each and evert facet. All natural and unheated this cushion shaped yellow sapphire was cut and polished in one of the most premium cutting facilities in the world. 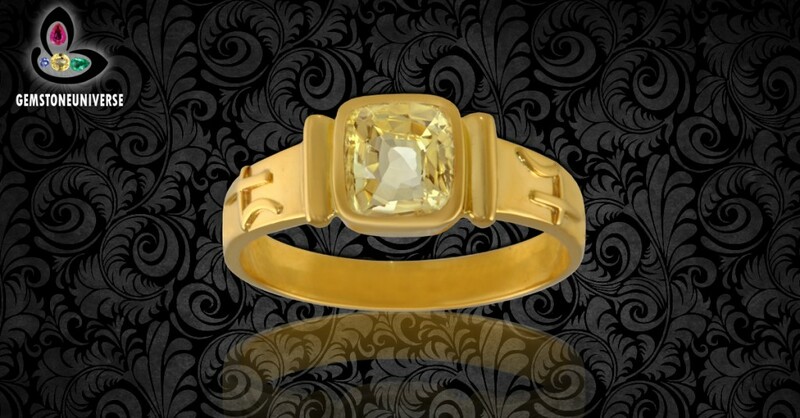 Pleasing canary yellow color, good size, clarity and being natural make it not just an excellent Jyotish Gemstone that shall deliver promised results, it is also a good investment as the value of the Gemstone will keep rising through the years to know the benefits Yellow sapphire online purchase before it was set please click here.Note: The above links generally exist on the website for a period of 40 days after which they are periodically deleted to make way for new gemstones and to enable faster browsing.